Medical doctors, nurses, and practitioners traditionally improve our quality of health and serve the ill making use of our great knowledge of medicine and biology. However, all the increasingly used medical devices, gadgets, and information systems require insights from electrical engineering. One example is a body-implanted device that bioelectrical engineers program to release a medicine to a certain part of the body. The bioelectrical engineers must understand the relevant aspects about programming and the body. Electrical engineers also manage the computer systems used to capture and store medical information about patients, making it faster to receive diagnosis or treatment. The 21st century electrical engineer does not only make machines but also can benefit human health and medicine. In the digital economy, money is moved around electronically, including investments, purchases, and sales. Electrical and computer engineers design the information systems for companies to securely transfer money and keep it safe. They also often have roles of identifying risks and benefits in investments, purchases, and sales to maximize profit. High-frequency trading arose in this century as a way for stock market traders to adjust their investments based on real-time tracking of market performance, an operation requiring electrical engineers to design the high-speed data links and software to gain an advantage. Computer engineering may be best defined as the overlap areas between electrical engineering and computer science. Computer engineers understand how a computer works and apply that knowledge. While companies that make computers such as laptops and phones hire computer engineers, a larger number of companies want to learn from computer engineers how to use computers more efficiently and effectively. For example, computer engineers are working on machine learning, which is about programming computers to see patterns and act on them, like in a search engine that completes your typing based on what you normally search. Computer engineering graduates are in high demand in the industry since computers are all around us. All of our infrastructure, including power plants, air traffic control, and trains have essential electronics and computers in their control systems that may have security vulnerabilities. Public and private companies are increasingly hiring in areas such as computer security. Electrical and computer engineers have the in-depth knowledge about how electronics work fundamentally, making them essential to keeping industrial systems running without getting broken. Cable and telephone companies may sound antiquated, but they have evolved into the infrastructural companies that deliver cell phone service, Internet connections, and other ways we connect with the world. For example, telecommunications engineers maintain and expand wired and wireless networks. Electrical engineers continue to be in demand to satisfy the connectivity needs of consumers. We highlighted five major areas where you could launch a career with an electrical engineering degree, but the opportunities extend well beyond those areas. When you get a degree in electrical engineering, people know that you can solve problems. That alone is bound to give you an edge to work in technical companies and even non-technical companies with business problems to solve. 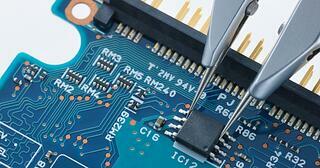 An electrical engineering bachelor’s degree is also a starting point to pursue a master’s or PhD degree. Are you interested in working with one of our New York or Cambridge tutors to help you enter in into the electrical engineering field?